Past Commander and Past Quartermaster Jack Shoff passed away this week after a long battle with Parkinson’s Disease. Jack served the post in a number of positions over the years and will be missed. Jack O. Shoff, 83, of Millersville, passed away peacefully on Thursday, March 25, 2010 surrounded by his loving family at home following a courageous battle with Parkinson’s Disease. Born June 12, 1926, in Lancaster, PA, he was the son of the late Preston P. and Eva F. (Geisler) Shoff. He was married to the late Margaret J. (Colvin) Shoff for over 58 years before her death in August 2009. A Veteran of WWII, Jack proudly served with the U.S. Marine Corps and was awarded the Purple Heart for his service in Iwo Jima, Volcano Islands on March 17, 1945. Jack continued his military service volunteering for three tours with the Sea Going Cowboys replenishing Europe’s livestock. 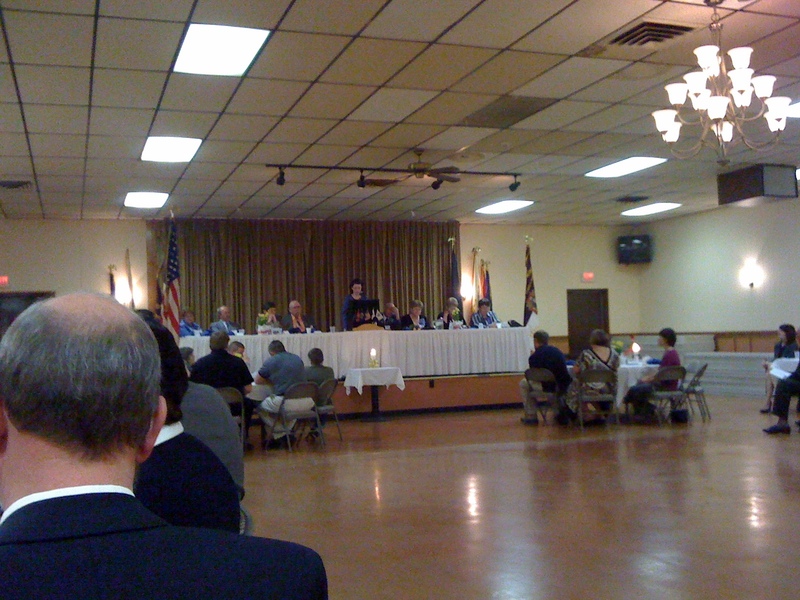 He was a lifetime member, Board of Director Past Post Commander of the Millersville/Manor VFW Post #7294. As Quarter Master, Jack was responsible for the delivery and set up of hospital equipment to the infirmed and was a volunteer for the Millersville area Meals on Wheels. 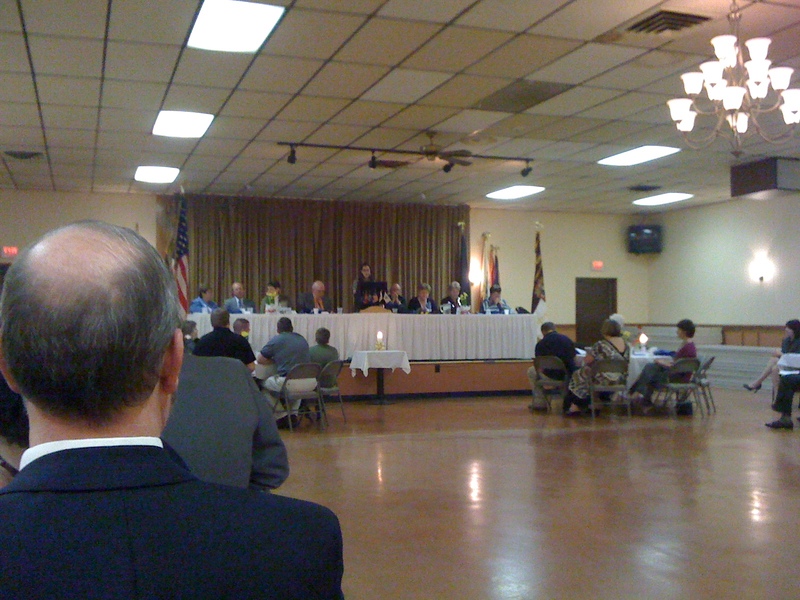 Jack was also a member American Legion, Post #34, Lancaster. Jack was a lineman for PPL for 40 years before retiring in 1986. After retirement, Mr. Shoff worked for Scheid Produce, Inc. in Millersville. He enjoyed spending time at his second home at Rehoboth Beach in Delaware where everyone was welcome. Another passion of Jack’s was Native American Indian Education and Causes through financial contributions. He is survived by a son, Jeff Shoff, fiancé of Gail Smith, of Lancaster; three daughters, Colleen Rankin, of Conestoga, Jacqueline, wife of Fred Harvey, of Lancaster and Sue, wife of Ron Kirchner, of Willow Street; ten grandchildren; five great grandchildren; a brother Eugene C. Shoff, husband of Nellie L., of Ronks, as well as his nieces, nephews, extended family and caring friends. The family would like to extend a special thank you to all of Jack’s caregivers and Hospice of Lancaster County. Funeral Services will be held at the Andrew T. Scheid Funeral Home, Exclusive Provider of Veterans Funeral Care, 320 Blue Rock Road, Route 999, Millersville, PA 17551, 717-872-2266 on Wednesday, March 31, 2010 at 10 AM. Interment will be in the Millersville Mennonite Cemetery, Millersville, PA with Military Honors. Friends may view at Scheid’s on Wednesday between 9 and 10 AM. Kindly omit flowers. Memorial Remembrances can be made in Jack’s memory to Hospice of Lancaster County or to the Disabled American Veterans. Congratulations went out to our District 9 Commander, Carson Kauffman, and the District 9 Ladies Auxiliary President, Kathy Kauffman. As you know, in addition to being the District 9 Commander, Carson is also our Post Commander. Likewise, Kathy is our Ladies Auxiliary Treasurer. They’ve both been heavily involved in our post for years, and their support and guidance has kept the post strong! Saturday night, their officers, families and friends came together to show their support in the Testimonial Dinner, where Carson and Kathy were honored. The Toastmaster was Larry Reece, the State Jr. Vice Commander. The invocation was given by Kathy Adams, District 9 Ladies Auxiliary Chaplain. Jenny RM Bender, District 9 Patriot's Pen Winner reads her essay. The District 9 Patriot’s Pen Winner, Jenny R.M. Bender read her essay, and was followed by the District 9 Voice of Democracy winner, Shannan Monaghan. Kathy and Carson both gave their thanks for their officers, members, families and friends that supported them. The ceremony was closed with a Benediction from Walter Gerhart, District 9 VFW Chaplain. Special thanks go to the Banquet Committee, who planned this great evening: Betty Eshbach, Louise Gerhart, Walter Gerhart, Larry Reece, Joyce Reece, Richard (Mac) Adams, Kathy Adams, Amy Walborn, Janet Getz, Richard Getz. Nearly two decades after vets began returning from the Middle East complaining of Gulf War Syndrome, the federal government has yet to formally accept that their vague jumble of symptoms constitutes a legitimate illness. Since the early 1990s, some 175,000 U.S. troops have returned from service in the first Gulf War reporting a host of vague complaints, notes Richard Briggs, a physical chemist at UT Southwestern involved in the new imaging. Their symptoms ranged from mental confusion, difficulty concentrating, attacks of sudden vertigo and intense uncontrollable mood swings to extreme fatigue and sometimes numbness — or the opposite, constant body pain. With funding from the Departments of Defense and Veterans Affairs, Haley has assembled a team of roughly 140 researchers. Many work with patients. Others are developing new animal, biochemical and genetic studies to identify the biological perturbations underlying Gulf War Illness. But the vast majority — two-thirds of these scientists — are now involved in brain imaging. Support Our Adopted Troops & Their Families! The families of our adopted unit, the 1185th, will be our guests of honor as we set up web cameras to “share” our dinner with the soldiers overseas! Come to give your support and greetings to the soldiers and their families! Dinner includes spaghetti, rolls, salad and a drink. See the bartender, ladies auxiliary or any post officers for tickets! Any questions or to offer to help, contact Shawn Williams.